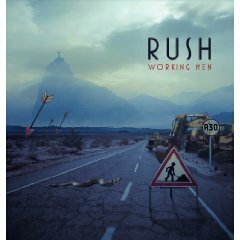 Well, I posted what my favorite Heavy Metal album cover, (ever), is on March 25, just a few days ago. Iron Maiden’s debut album – Iron Maiden was/is my choice. Now, for my favorite Hard Rock album cover, (ever), that I would like to share to all, on the planet we call… Earth. Nazareth – No Mean City. This incredibly underrated Rock meets Hard Rock album was released back in January of 1979. May The Sunshine has it’s unique style – from a folk chorus to it’s overlay of genuine Nazareth Rock, it’s a fun filled listen for me always. 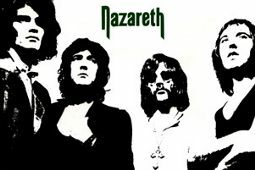 The ballad Star is another tremendous listen, showing just how Nazareth could diversify their sound with the upmost credibility. Just To Get Into It is indicative of Nazareth Hard Rock, with Dan McCafferty’s vocals spilling out in all of his raspy splendor. 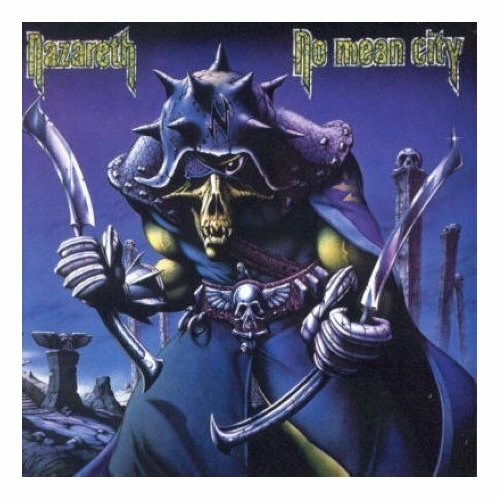 This unreal great cover art on No Mean City just screams Heavy Metal… only this is seriously a Rock colliding with Hard Rock album, in my Metal opinion. Rodney Matthews is the artist/illustrator for this incredible No Mean City album cover. In doing my Metal research, Rodney Matthews has quite the illustrious career in illustrating album covers for many bands of notoriety: Scorpions, Magnum, Thin Lizzy, Tygers of Pan Tang and Diamond Head… just to name a few. 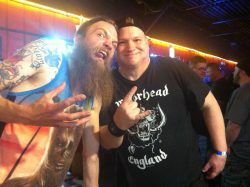 I applaud this fantastically talented artist, he gets a Metal Odyssey nod of Metal approval – multi-tenfold! 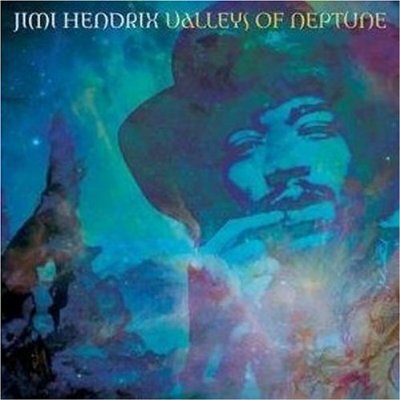 What is your favorite Hard Rock album cover? No Mean City just takes the Hard Rock cake for me. 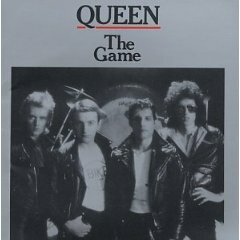 QUEEN – I can remember like it was yesterday, it was 1980 and I wanted so badly, as a Christmas gift from my Mom and Dad, Queen’s The Game album. I can recite what and how many albums I received as gifts from my parents when I was young, due to the fact that I so deeply appreciated each one. While growing up, my family may not have been “rich” with money, instead we were pretty “rich” with love. As a young dude, I never expected more than one album as a gift from my parents, with each passing Christmas and birthday. Receiving an album a few times during the year, as a thank you for helping out around the house and yard, was reality as well. Therefore, that “one” album at Christmas held some weight… and each album gift was always one of my choices that I made known to anyone who would listen. 1980 came upon me as a breakout year in my life… for I finally broke out of eight years of parochial school. (A Catholic School). I was now an official high school student… enrolled as a freshman. My Rock and Roll taste buds were changing by the week it seemed… so many bands I was hearing on the FM dial, still, so little funds to buy them. When Christmas of 1980 finally rolled around, I was anxious as to whether or not an album would be under the tree at all. If there was an album, which one would it be? 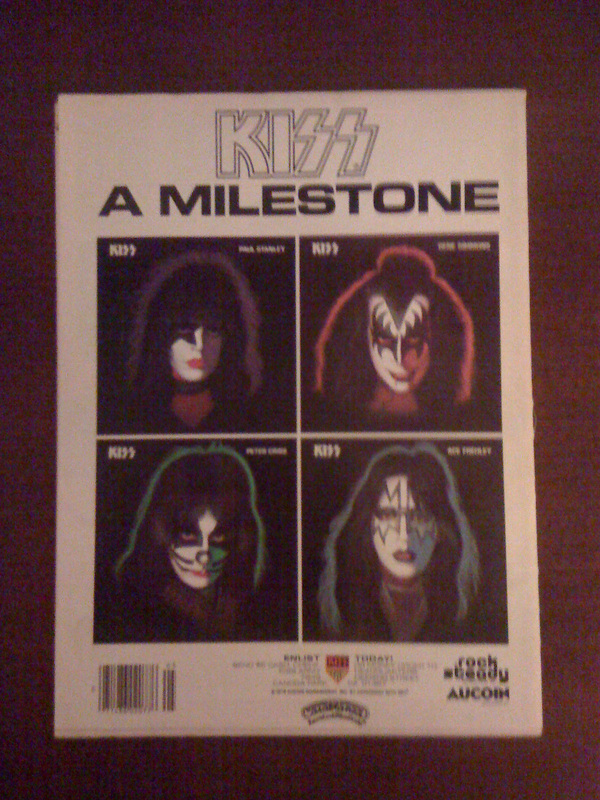 I had jotted down just about every KISS album on that wish list back in 1980, save for Double Platinum and Dynasty, which I already owned. I remember putting Queen’s The Game down on my wish list, I needed a real Queen album and this one would be as good as any. All I did own of Queen at this time in my life was the 45 rpm of We Will Rock You/We Are The Champions. Crazy Little Thing Called Love and Another One Bites The Dust were enormous hits for Queen on the FM dial in 1980. Each time I heard these two songs back then, it felt like Rock and Roll magic in my brain. Once I heard these next two songs from this powerful Queen album, I was literally covered in ostrich bumps: Play The Game and Need Your Loving Tonight. The Hartford, Connecticut FM stations were very cool back in the late ’70’s on through the ’80’s, their spinning these deeper album cuts from The Game only made it more clear to me, that I absolutely needed this album! Listening to the song Play The Game made me feel like I was walking on air. It still does have that affect on me. Sure, Another One Bites The Dust has been overused commercially over the decades, I do understand. This entire Queen album still makes me feel more powerful than I really am… it’s as if it lifts me up and puts the troubles of the day below my feet. I did see a wrapped album under the Christmas tree, that Christmas morning back in 1980 and it had my name on the tag. It was from Mom and Dad. Once the wrapping was taken off, (gently I might add, as not to damage a cool album), my eyes widened as big as Pennsylvania Dutch pancakes on a Saturday morning. Queen. The Game. In my hands, the entire album. Yes, I played it on my turntable every day during my freshman year in high school. Back in 1980, hearing the song Dragon Attack was a quick study in Hard Rock 101 for me. This Queen album, single handedly inspired me as a high school freshman, in ways that I cannot even explain. The operatic and prolific vocals of the late and ultra legendary Freddie Mercury, the ever distinguishable guitar tone of Brian May and the rhythm being solidly accented by John Deacon on bass and Roger Taylor on drums. A Rock album for the ages was and still is – The Game. LONG LIVE QUEEN. REST PEACEFULLY, FREDDIE MERCURY. I remember buying this debut album from The Knack, Get The Knack brings back some fond memories for me. My late sister and I made a beeline to the Caldor department store to buy this album, sometime during the Summer of ’79. We got the biggest kick out of this album, especially the hit My Sharona. I recall listening to the song Good Girls Don’t and feeling really cool about it too. 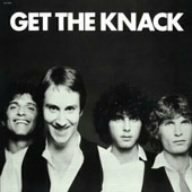 Doug Fieger and The Knack made a fun and good old fashioned Rock and Roll album with Get The Knack. Just a classic album period. I had sold this album years ago… and truly regretted it afterwards, for vinyl was no longer on store shelves. On one of my journey’s last year for Heavy Metal finds, I found a beautiful copy of Get The Knack at a thrift store for 50 cents. 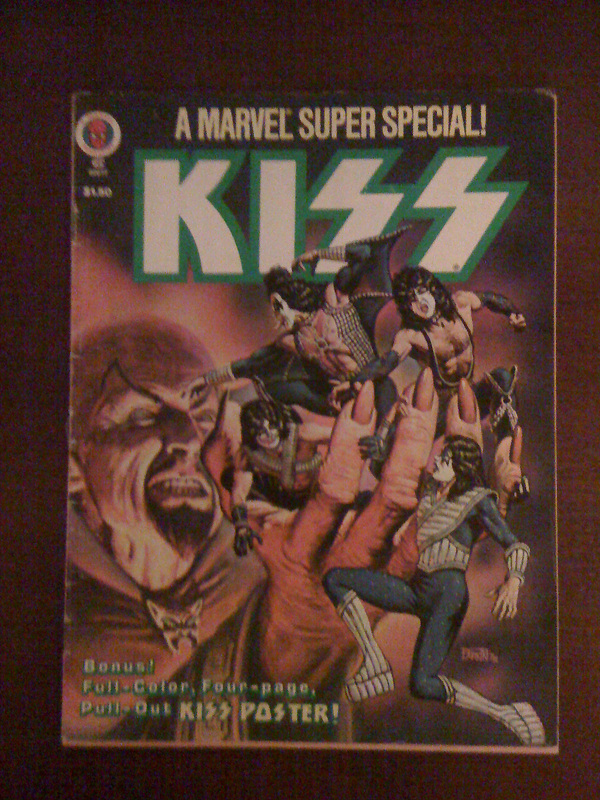 This new found copy is for keeps. 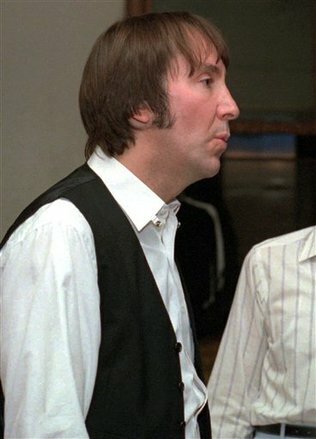 Thank you for the music Doug Fieger, rest in peace. In 2009, HammerFall covered The Knack classic – My Sharona. This cover song is found on the HammerFall album – No Sacrifice, No Victory. This is an excellent example of how Doug Fieger and The Knack are an influence in respective Heavy Metal circles. When I first heard this cover of My Sharona by HammerFall, I was reminded of just how great this song really is. HammerFall paid an incredible tribute to this song and The Knack, in my Metal opinion. Of course, no band can top The Knack in covering My Sharona, this is a Heavy Metal salute to a legendary Rock and Roll Band and musician, whose music shall live on. So, crank up this My Sharona cover by HammerFall below, sing along if you will, let’s all give a Heavy Metal tribute and thank you to Doug Fieger and his Rock and Roll legacy!